In recent years, it has become evident that we can no longer afford to make products that we use once and throw away out of plastic materials that essentially last forever. Throwaway packaging, straws, utensils, bags and other single-use plastic items are choking our waterways and polluting our environment. The flow of plastics into our environment has reached crisis proportions, and the evidence is most clearly on display in our oceans. The equivalent of one garbage truck of plastic enters our oceans every minute, every day, all year long. Turtles, whales, seabirds and other marine life are affected by entanglement, choking, strangulation and malnutrition. Microplastics are so ubiquitous in our oceans that they are now commonly found in our seafood, drinking water, salt and even in the air we breathe. Single-use plastics, including plastic packaging, bags and styrofoam make up 26 percent of global plastics production and are the bulk of the plastic pollution problem in oceans, waterways and communities. Close to 80 percent of Earth’s biodiversity is in the ocean, and the constant stream of plastic entering the marine environment poses a threat to all ocean ecosystems and sea life, including seabirds. 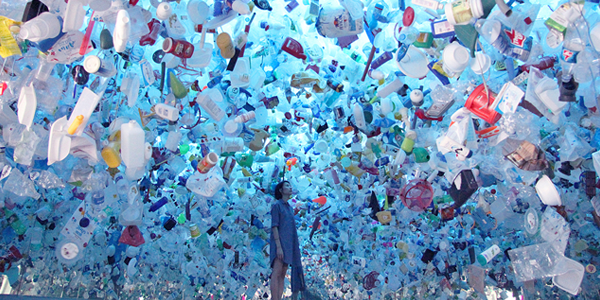 An estimated 150 million tonnes of plastic have already entered our oceans, where it will take centuries to break down. We have formed a citizens group concerned about this problem and would like to invite the public to our Vernon Film Festival Sept. 21-23. Details can be found at www.plasticfreecommunity.org. Volunteers and donations welcome.